I’ve noticed an interesting trend with this blog. When I write about my mistakes, failures or struggles, my blog gains more followers & views. My recent post about a bad C-PTSD day gained me quite a few more followers & a lot of views. I believe this is because people are tired of people who claim they’ve been completely healed from their past, saying all you have to do is pray & believe, & God will deliver you completely from your past. People who are completely delivered from their pain are in the minority, yet they are the ones most in the public eye, it seems. The problem with this is it makes people feel like failures. It sure did me. I felt like I must not have enough faith or I was praying wrong. Maybe because my experiences weren’t as bad as some other folks’ God wasn’t going to set me free- maybe He thought I was over reacting & needed to realize that. Then one night while watching TV a few years ago, I saw Josh McDowell doing an interview on TBN’s show, “Praise The Lord.” As a child, he was sexually abused. His story was heartbreaking, but it gave me hope at the same time. Why? Because he admitted that as a grown man in his 50’s or maybe 60’s (my guess.. not sure) he still had issues stemming from that abuse. He said when people touch his shoulder in a certain way, he can’t handle it, because it reminds him of his abuser. Realizing that this wise, caring, good man of God still had issues from childhood abuse so many years later released the feeling of shame I had. He’s obviously no failure, yet God didn’t wave that magic wand & set him free of all symptoms of the abuse. Maybe, just maybe, that means I’m not a failure either! Two Scriptures also came into my mind in a new way. Psalm 23:4, “Yea, though I walk through the valley of the shadow of death, I will fear no evil: for thou art with me; thy rod and thy staff they comfort me.” & Philippians 1:6, “Being confident of this very thing, that he which hath begun a good work in you will perform it until the day of Jesus Christ:” I realized that God is truly there with me during all the bad times. Not only the times that I’ve lost a loved one or had a fight with a friend- all of the bad times. He is with me during flashbacks, panic attacks & depressive episodes. He is with me during all of those valley of the shadow of death times, not just some. Also, I realized you learn a lot more going through something than you do if you’re just delivered from it. The things I learn by going through are the things that I’ve been able to share in this blog, & in my books, too, & I believe people are being helped by these things. I’ve received plenty of messages to prove it. Also, He is the one who showed me I needed healing. He started me on the healing path by gently showing me what was wrong with me & how to heal. So, since God started that “good work,” it seems logical to me, judging by Philippians 1:6, that He will continue working on healing me until Jesus comes back. This tells me there is nothing wrong with continuing to have issues for years after the fact. It’s normal! These revelations gave me a new heart for how I write. Rather than constantly trying to encourage or teach readers what I have learned, I felt it would be a good idea to share my mistakes & struggles, too, to let my readers know that they aren’t alone. Everyone who has been through narcissistic abuse struggles to some degree. It’s ok! God is with them & helping them to heal. So, Dear Reader, this is my promise to you- to be real, not only encouraging or educational. I’ll also let you know that I understand your struggles, because I struggle too, every single day. And, there is nothing wrong with you or your faith if God hasn’t miraculously delivered you. There are plenty of us in that same valley, so at least you aren’t alone! 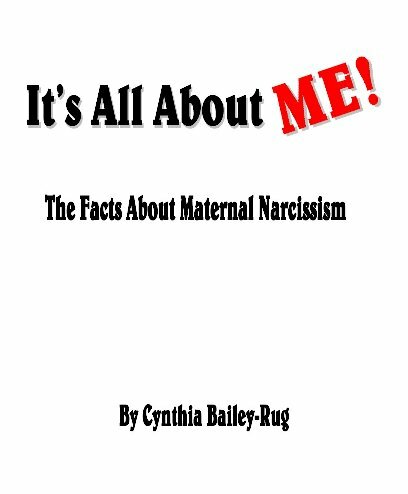 I was talking recently with a good friend of mine who is also the adult daughter of a narcissistic mother. She mentioned her birthday is coming up & how much she dreads the day. It’s a trigger of painful memories & her parents use the opportunity to try to make her feel guilty for not tolerating the abuse anymore. Wonderful way to celebrate a birthday, huh? Sadly, she isn’t alone. 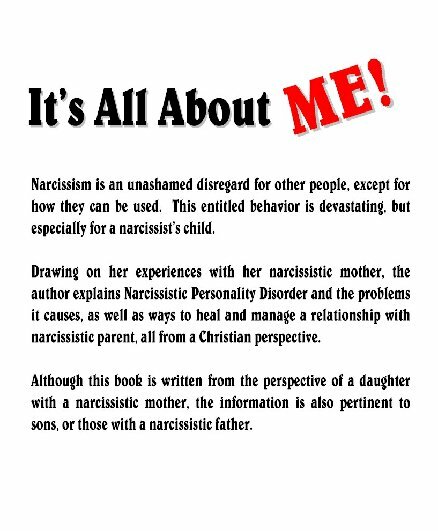 Many adult children of narcissistic mothers go through something similar on their birthdays. A day that is supposed to be fun & celebrated turns into a day of misery instead. My seventeenth birthday was among the most horrible days of my life. My mother destroyed the little gifts that my first boyfriend/now ex husband gave me because she hated him so much. She made me clean up the mess, & blamed me for “making” her do that. I later told my father about it, & he went to speak to my mother about her actions. She screamed at him for interferring, telling him to mind his own business, then when she was done with him, she screamed at me for tattling on her. From that day on, I hated my birthday & tried to ignore it every single year. Then in 2010, an old friend of mine sent me a message on facebook, & asked what plans I had for my birthday. I told him none. My father was sick & I thought I should be available in case he needed me. (I never told him about my seventeenth birthday fiasco.) He kinda chewed me out for not having plans & said I should do something for myself, even if it was just pick up my favorite lunch from somewhere. Something clicked inside me & I realized he was right. I thought about it & was angry that I let my mother steal so many of my birthdays. I decided no more, & instead created a birthday ritual that I’ve done each year since. The weekend closest to my birthday, preferably on Sunday, hubby & I go to our favorite place- a tiny bar on the water in a nearby town that is often quiet on Sundays. I invite friends to come, & whoever can, joins us. It’s never more than maybe 5 people or so, so I can handle the company. I always say no gifts or cake but I get them anyway because I have awesome friends. lol We hang out, get something to eat & drink, listen to the jukebox (which is full of some really good old classic rock & 80’s music!) & watch the ducks & geese on the beach. It’s nothing fancy, but it’s a very nice time. Do you realize that by not celebrating your birthday or even dreading it, you’re giving your narcissistic mother the power to steal your joy? She doesn’t deserve that kind of power! She has had more than enough power that she has abused over you! You however, you deserve to have a fun, happy birthday celebrated with people who you love & who love you back. Or, if you want to spend it alone, you deserve to spend it doing whatever you like to do that makes you feel pampered. Or do both- party one day, alone time another. It’s YOUR birthday, & that means YOU should celebrate it however is the most fun for YOU! I know you can’t forget the bad birthdays, nor should you. They are just a small part of what has made you the person you are today. However, they shouldn’t be allowed to be the reason you continue to have bad birthdays. You deserve so much better than that! So what can you do to celebrate your birthday in a way that is fun for you? What new traditions can you create? What gift can you give yourself? Is there a special meal you don’t indulge in often because it is too fattening, unhealthy or something that you can indulge in on your birthday? I encourage you to think about these things, & create a new, positive & fun birthday ritual for yourself! You are worth it! Good news! My publisher is offering 40% off all print versions of my books!! Just enter code FALLSALE40 at checkout. All of my books are available for sale in print & ebook forms at the link below..
Good morning, Dear Readers! I pray this post finds you well! I just wanted to thank everyone who has been kind enough to send me feedback regarding my blog & site. I absolutely LOVE hearing that something I have experienced has helped someone else. 🙂 Your comments & encouragement mean the world to me. Many thanks to each & every one of you! I also posted links to my website & facebook & twitter pages since many of you have asked for those links. Thank you again everyone, & I’m praying for God to bless each & every one of you! I also am thinking of taking a few days away from the blog. Been a rough couple of days, & need some down time to regroup. Thank you for your patience, Dear Readers. I love you & am praying for you. 🙂 God bless you!